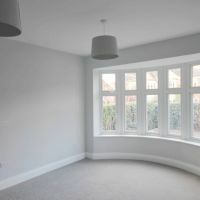 This four bedroom detached house is located on the prestigious Shanklin Drive, within the city suburb of South Knighton in Leicester and required a full renovation from top to bottom. The house was a good size with two reception rooms, kitchen, downstairs WC, four bedrooms and bathroom however the interior was dated with wood panelling on the walls in the snug and kitchen and a bathroom that have never been updated. 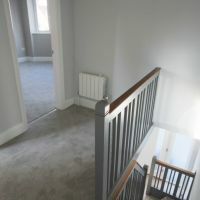 Despite needing updating the house benefitted from a wealth of original features and beautiful bay windows. It also had the added bonus of sitting on such a large plot there was room to build an extension on the back without losing much of the garden. 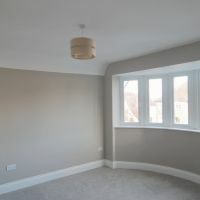 It was a good sized family home with bags of potential and just needed a new lease of life. The first thing to address with this project was the layout. 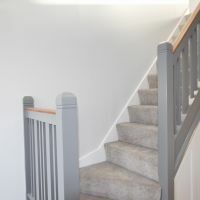 It didn’t need extensive changes but it required a few rooms being reassigned to help the house flow, such as the downstairs WC being moved to behind the staircase and the smaller reception room becoming an office. 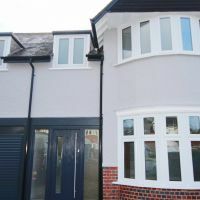 The biggest change however happened at the back of the property, with a full width single storey extension being built. 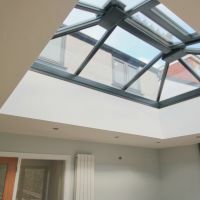 This was completed with a traditional roof lantern and bi-fold doors looking out into the garden. 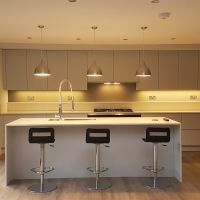 The extension houses a stunning modern kitchen, complete with an island breakfast bar and feature lighting. 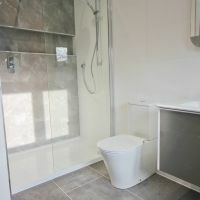 Just off the kitchen is a large utility room which provides even more storage. The rest of the extension is large enough to house a dining table or an array of seating to create a space for the whole family to relax in. 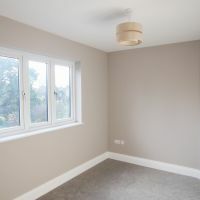 The rest of the rooms in the house were stripped back, plastered and painted in neutral tones. 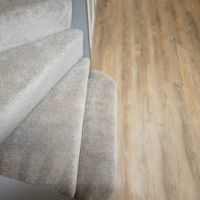 The staircase hand rails now match the beautiful oak doors and the Karndean floor flows from the front door into the extension. 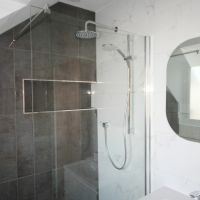 The bathroom now has a superb free standing bath and walk-in shower whilst the addition of an en suite to the master bedroom adds another beautifully finished room. Outside, the garden was landscaped with a gravel path and flower bed. 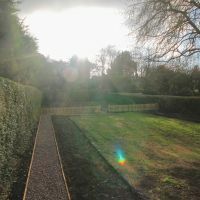 A new fence separates the garden into two areas one of which could be used to grow vegetables, or even house a home office. 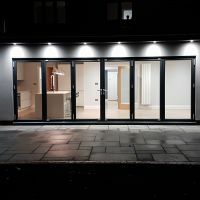 Contact us and see how we can transform your property, from a kitchen refit to a complete house refurbishment.